We got back last week from spending two weeks with my parents. A large chunk of that time was spent driving down to California and back for my cousin’s wedding. Dad drove the truck and RV down, and we took my 94-year-old grandmother, so it was mostly a lot of driving on the freeway, staying at RV parks next to the freeway, and taking care of daily chores. We did, however, manage to find interesting bits of nature on the edges of our days and lodging areas. 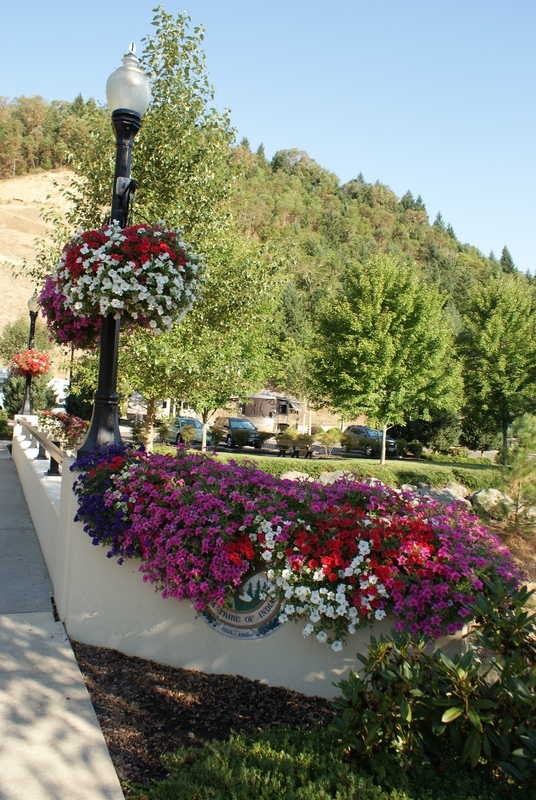 The first place we stayed at was in southern Oregon. It was hot. 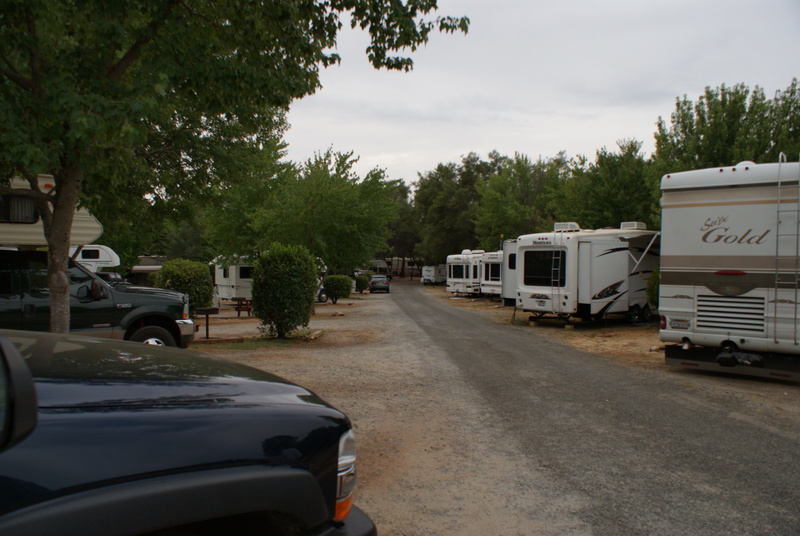 The RV park was so luxurious compared to the normal camping we do. There was an indoor pool! 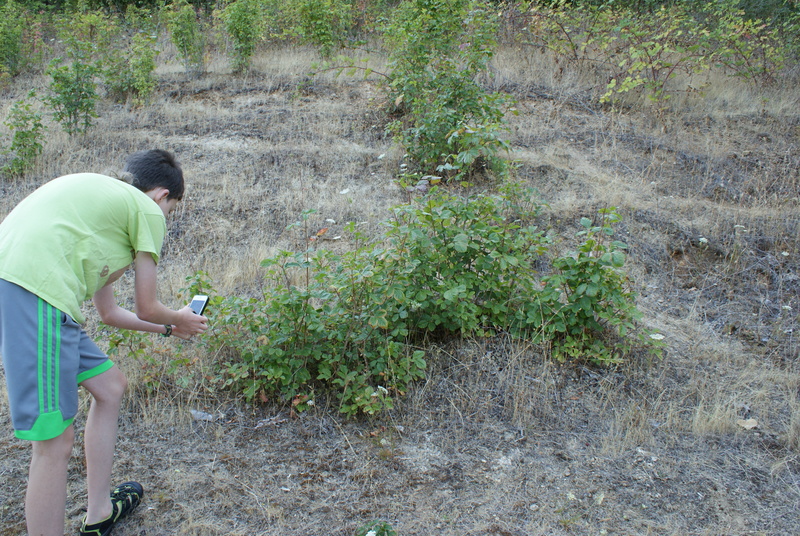 The morning we left, we walked around and discovered a bunch of poison oak to show the kids. They got a good look (from a safe distance!) for future reference. 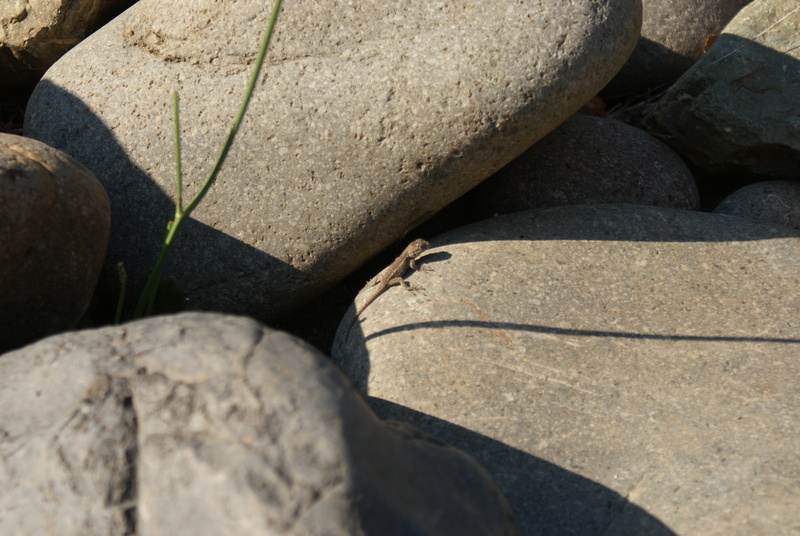 We also found the cutest little lizard in the rocks. 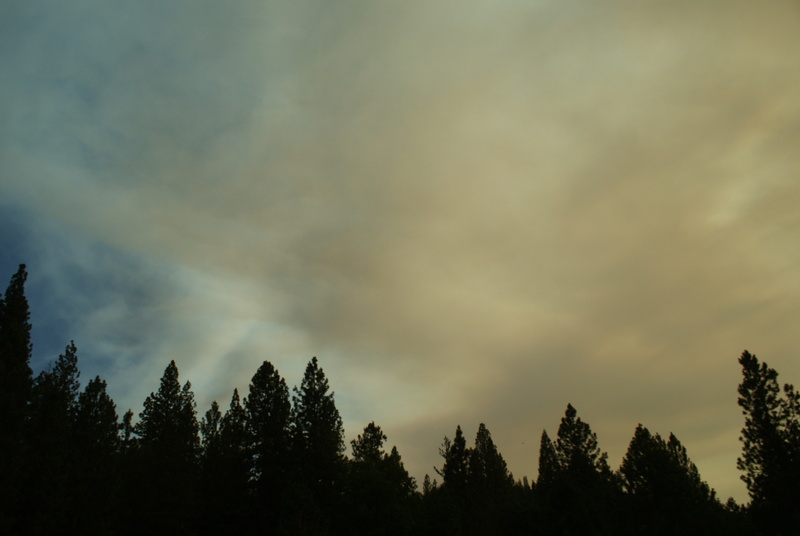 Coming south through northern California, we sweltered in the heat and the smoke from multiple large forest fires. We had a misadventure with a flat tire, but enjoyed seeing the beautiful scenery as we drove through many different habitat types. We found more nature at the KOA we stayed at for 3 nights near Placerville, CA. It’s right next to the freeway, as well – it feels like it’s on the edge of suburbia and the foothills. This campground is more rustic than the first, but still not what we are accustomed to. The tree in our camp site had an automatic drip irrigation system that was stuck in the “on” position, and it attracted little birds to come and take a sip. We were especially fond of the lesser goldfinches, a new species on our life list. 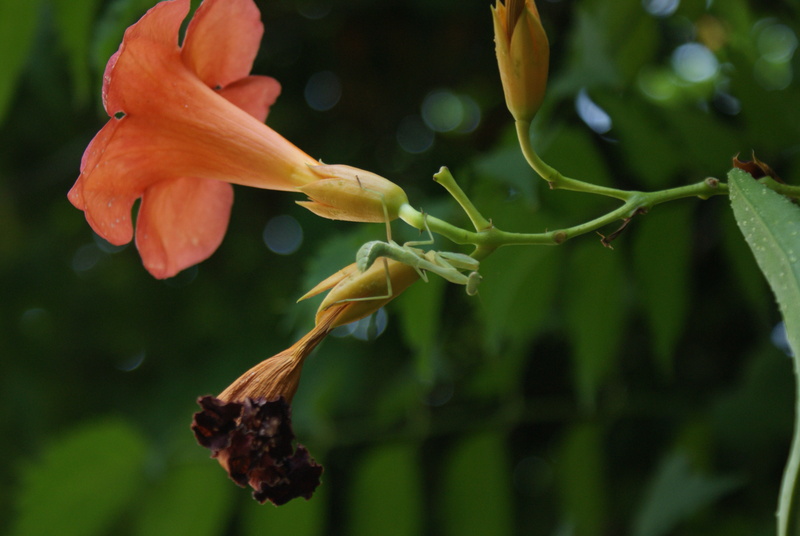 In the trumpet flower bushes near the swimming pool, we found praying mantises. And a robin’s nest appeared in our site one day while we were gone. It must have fallen from a tree. We had an extra day before the wedding, and spent some time in Placerville, where we visited the historical museum. 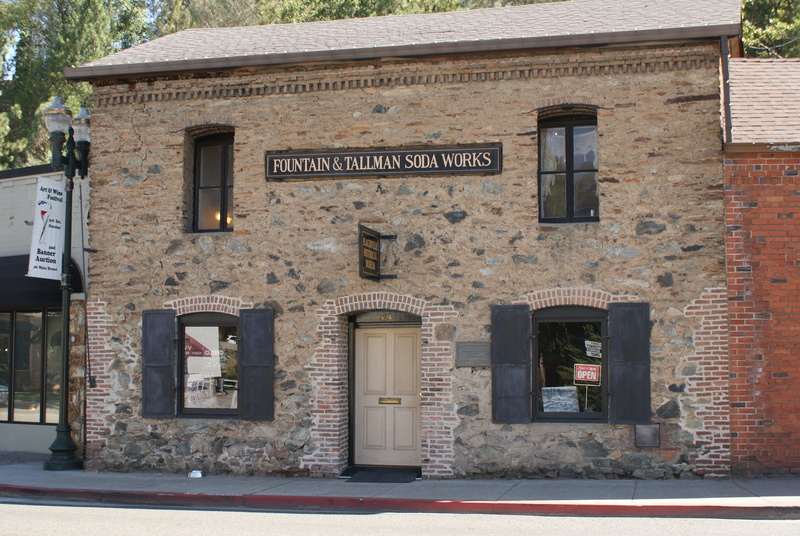 This charming old building is made of rock, and used to be the soda works in the Gold Rush days. 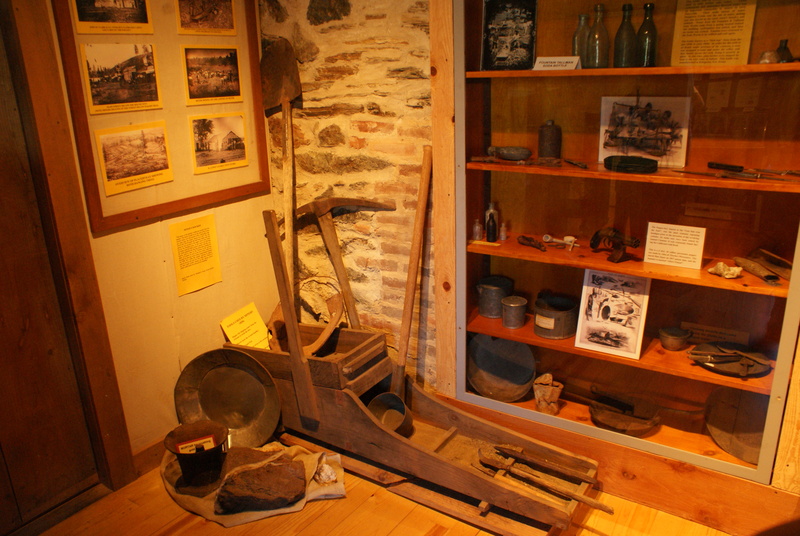 We learned about the gold rush in the area, and other facets of life from those days. The museum is free (leave a donation for the friendly volunteer docents) and has air conditioning! The wedding itself was up in the mountains, at a private club in the woods. We really enjoyed the surroundings and the drive back to camp on curvy backroads. After the wedding we joined the newlyweds and other family and friends for brunch over in South Tahoe. So we drove over the mountains – what a gorgeous trip! I’d love to go back down there and explore that area some more. Tahoe itself was an experience, though we didn’t get to do anything outside, since it was raining and we needed to make progress getting home. We stayed overnight in Sparks, NV, just outside of Reno. 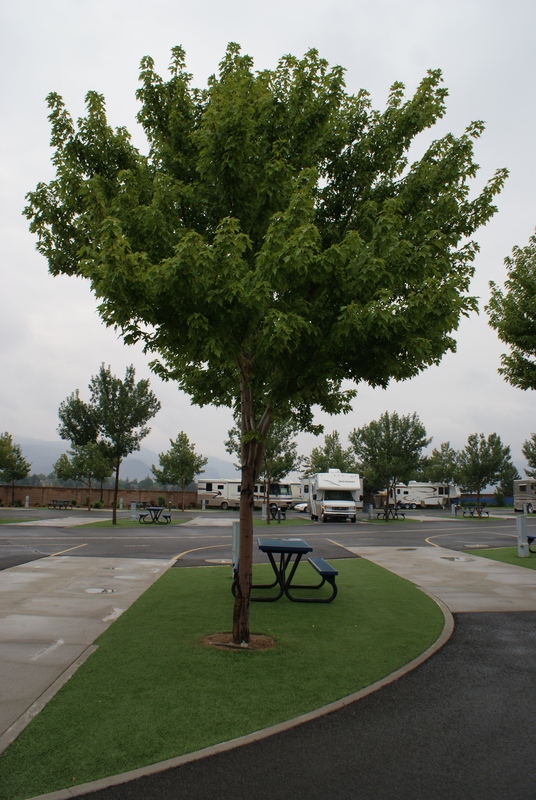 This was the most sterile RV park of the trip – there was fake grass, and the caretaker faithfully made the rounds every few hours, picking up leaves by hand. Go here if you want to stay clean! 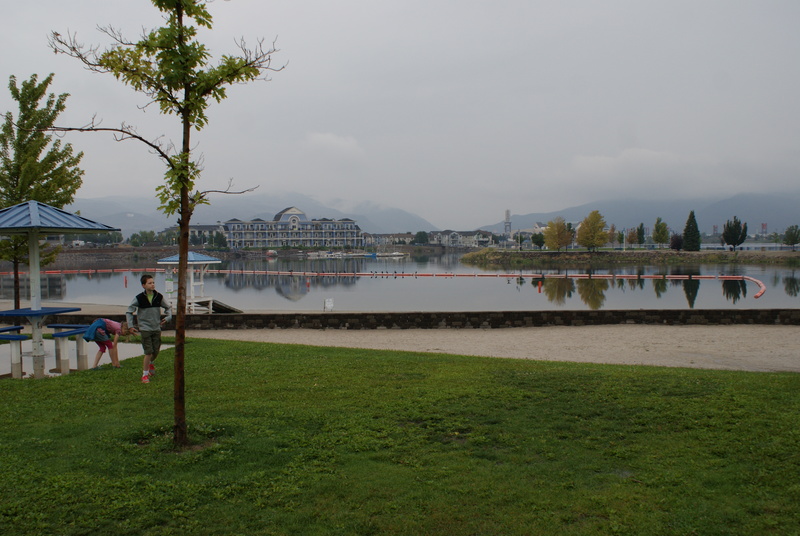 In the morning before we left, I took the kids a few blocks down the street to the Sparks Marina, a man-made lake with a wading area. 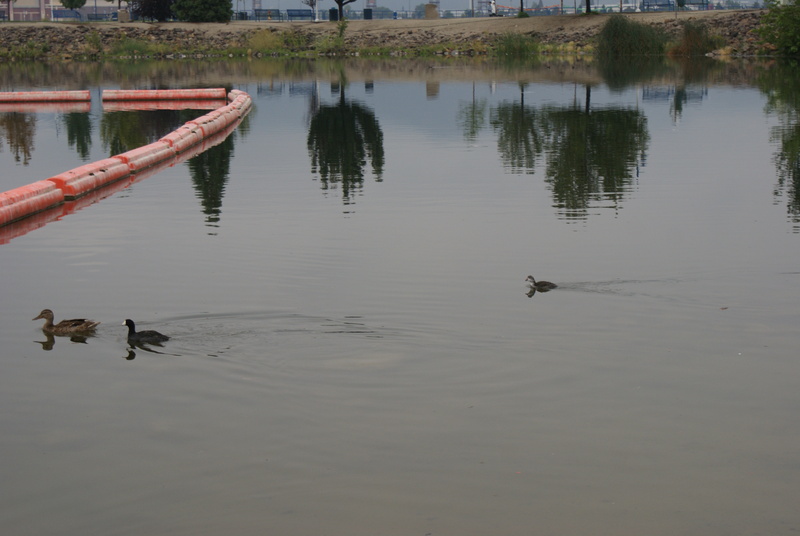 We saw cormorants, gulls, ducks, and the cutest baby coots. 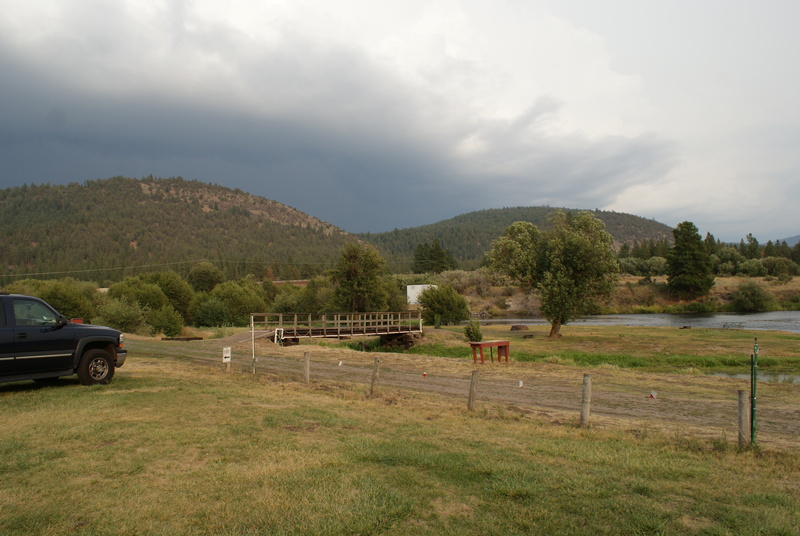 Our final night found us north of Klamath Falls. We had driven out of the rainy area and back into the heat. We pulled into a site next to a small river, and cooked dinner as a thunderstorm spread overhead. We saw great egrets, another first to add to our life list. We also saw belted kingfishers and cedar waxwings, as well as a bunny rabbit. It was a lot of driving over several hot days, and we were focused on family and not on nature. We spent a lot of time entertaining ourselves on electronic devices. But we discovered that wherever we go, we can find bits of nature to stimulate and inspire. And we have a bunch of locations now to go back and explore on our own when we have more time! This certainly was a quick trip for the six of us. I’m glad we were able to take Doreens 94 year old mother with. I think we all are still recouping from the long travel days. I hope Jennifer and the kids did find enjoyment at the RV parks. Doreen and I did enjoy having the family together for this occasion.